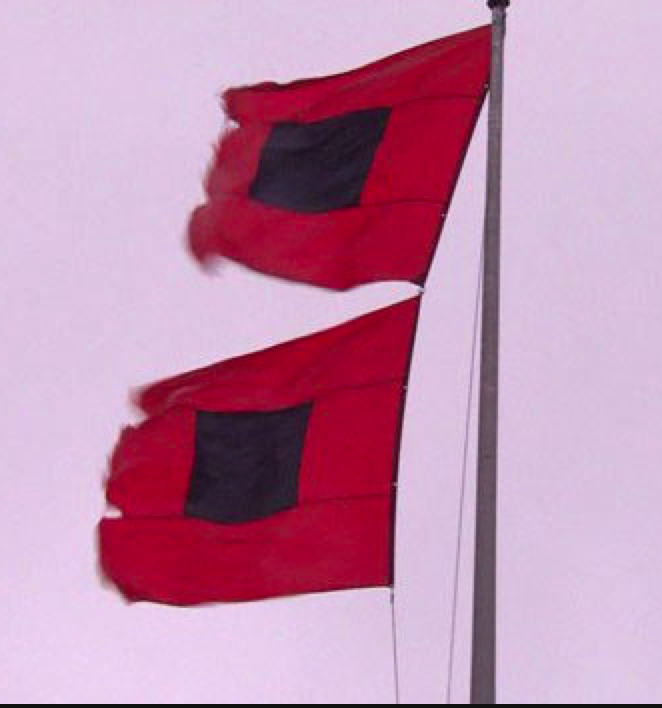 Hurricane Warnings and Storm Surge Warnings just issued for south Florida. Red = hurricane warning. 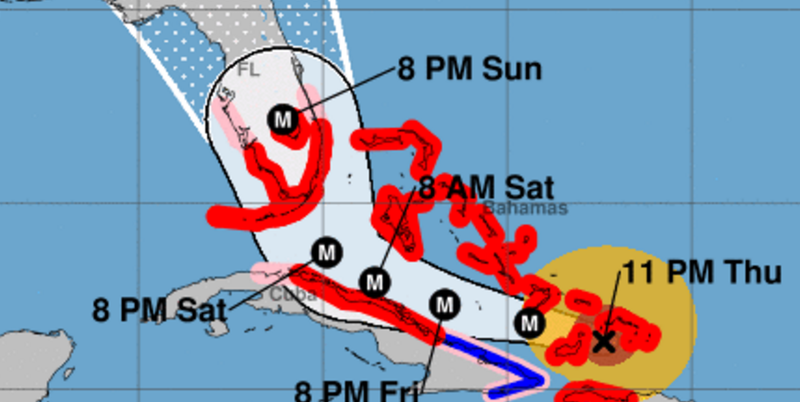 Pink = expanded hurricane watch. There is no real difference between AccuWeather and NHC's forecasts. 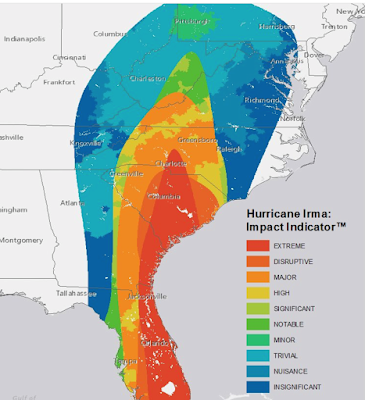 From AccuWeather's analytics group, please take a look at this map as you plan your evacuation destination. If you have a choice, I recommend going to Tallahassee, Birmingham, Mobile -- in other words, west -- rather than north to Atlanta, Charleston or Columbia. Remember to take your pets when you evacuate. Turn off the gas, electricity and water for your home. Make sure you bring medical supplies and prescriptions.